Unequalled. Dreamy. Teeming. Tanzania’s wildlife and landscapes provide the perfect setting for the most spectacular safari experience. Seemingly limitless, Tanzania stretches from the sun-drenched Serengeti to the shadow of snow-capped Kilimanjaro, from its white-sand coastline to the wild southern shores of Lake Nyasa. Huge skies curve over sprawling plains studded with game, an azure ocean laps over colourful reefs, and the welcome is as warm as the African sunshine. The sheer size of this striking country has been a blessing for its wildlife. 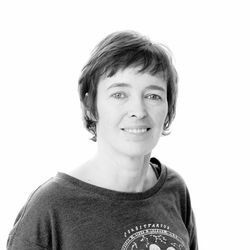 There’s more than enough wilderness here to set aside a great deal for conservation areas, game reserves and national parks – more than 100,000 square kilometres worth. The wild, riverine landscapes of Selous, the largest uninhabited area in Africa, are home to some of Tanzania’s last remaining black rhinos while Ruaha, with its ancient baobab trees, harbours the largest elephant herds on the continent. In turn, compact but crammed full of birds and game – including tree-climbing lions – Lake Manyara is one of Tanzania’s most charming reserves, its waters glimpsed through the rose-tinted feathers of a thousand flamingos. Then of course, there’s the Serengeti and the incomparable Ngorongoro Crater. 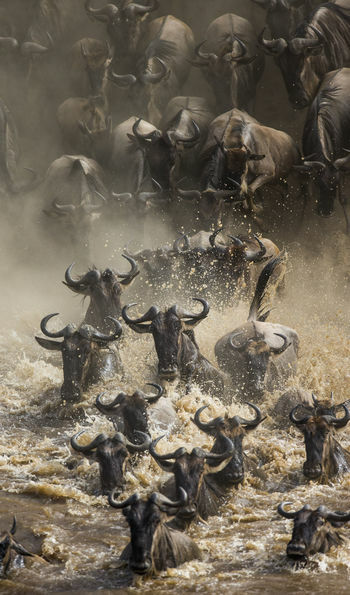 The first is the stuff of every safari fantasy, not least during the Great Migration when wildebeest in the tens of thousands thunder through its plains and rivers. Not to be outdone, Ngorongoro is like no other national park on earth, a sunken crater teeming with wildlife where it’s possible, likely even, to see the Big Five in a single day. 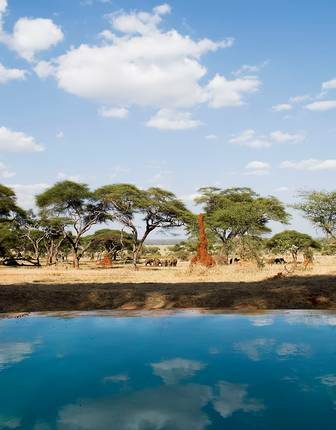 But there’s much more to Tanzania than just the big-game icons of its inland parks. 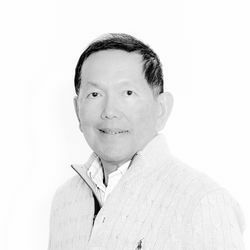 On the coast, flashing shoals of tropical fish flit through turquoise waters, and turtles clamber out on to sand turned silver in the moonlight. 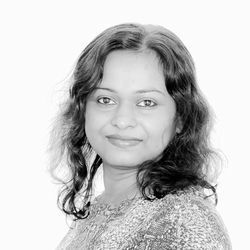 The coastline here is long, still plied with dhows and lined with swaying palms and the gentle, hospitable Swahili culture. The island of Zanzibar condenses all these into an intense hit and a heady fragrance of spice from the plantations that the island is famous for, mixing in a touch of Arabia in its whitewashed towns. 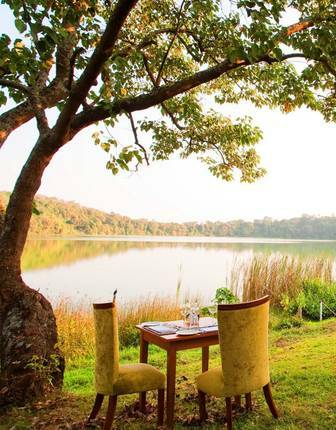 It’s a winning combination, and one that makes Tanzania such a draw for honeymooners. 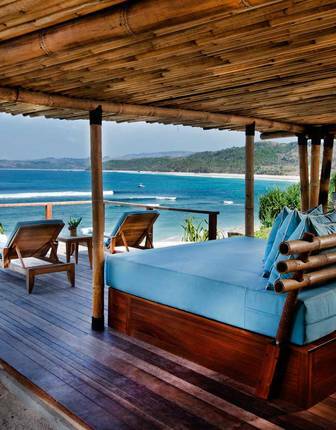 Whether it’s a private-island getaway or a safari stay in a luxury treehouse, you’ll be well looked after. Chopper in to a private mobile camp in southern Serengeti to sleep along the path of the Great Migration. Track wild dogs in the Selous on a tented safari and search out tree-climbing lions in Lake Manyara National Park. Get up-close and personal with chimpanzees or settle into a private residence in the unspoiled wilderness of the Ruaha, where you’ll be treated to matchless elephant sightings. Watch flamingos flock to the surreal red waters of Lake Natron. Fly over the wondrous Ngorongoro Crater and uncover the legends of local Maasai as you hit the trails and walk among the volcanoes of this upland area. 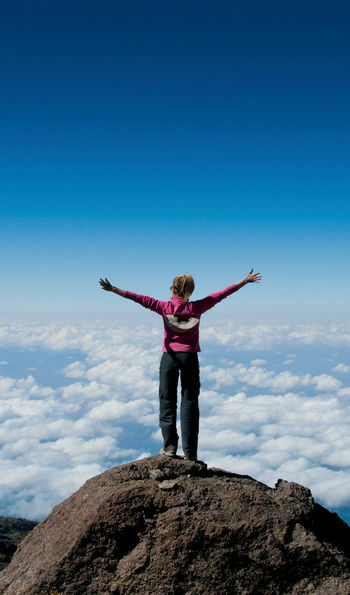 Trek to the summit of Mount Kilimanjaro, Africa’s highest peak, at sunrise for an unparalleled sense of achievement as you marvel at Africa laid out below you. Too taxing? Fly over the ‘Roof of Africa’ instead. 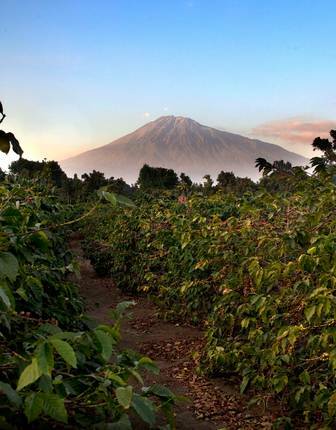 Let a local guide you through the coffee plantations of Arusha. Fish for giant Nile Perch in Lake Victoria. Barter with artisans in the local craft markets or meet Makonde carvers working on intricate wood-cuts. 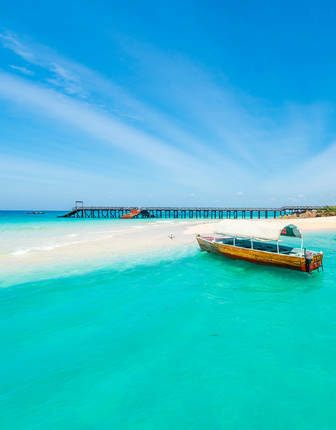 Spoil yourself with some barefoot luxury as you amble along the sands of aromatic spice-islands off the Indian Ocean coast, scuba dive the reefs close to Pemba and swim with whale sharks off Mafia Island. Sail on a traditional (luxury) dhow, stopping to dive into the warm sea and try your hand at spear fishing with a local guide. 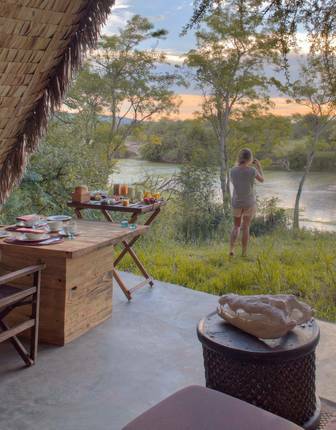 On safari, enjoy life under canvas in Hemmingway-esque tents at andBeyond Grumeti Serengeti Camp and in authentic sites that echo the spirit of the golden age of safaris in places such as Sanctuary Ngorongoro Crater Camp. For a bespoke safari adventure, ask us about private mobile camps that can be set up just for you as well. Alternatively settle back in luxury lodges like andBeyond Ngorongoro Crater Lodge. Looking for somewhere more unusual? 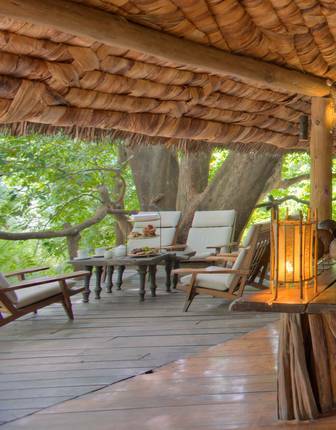 Try a grown-up treehouse amid the branches of magnificent mahogany trees in Lake Manyara, mountain huts on Kilimanjaro and coffee plantation lodges in Arusha. 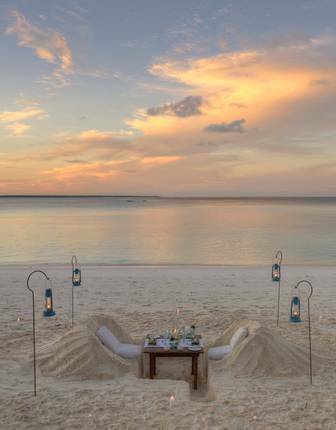 For barefoot luxury and blissful seclusion stay in your very own luxury villa on Zanzibar or search out private island retreats such as nearby Mnemba Island for the ultimate in castaway chic. 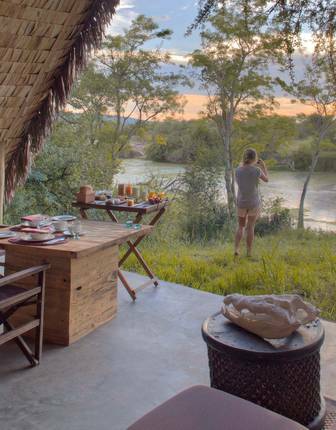 Sitting pretty in a secluded river valley in the Serengeti that almost overflows with wildlife, andBeyond’s Grumeti is a safari-chic tented camp. Small, and perfectly formed with just ten canopied canvas tents, it’s ideally placed to watch the great wildebeest migration. 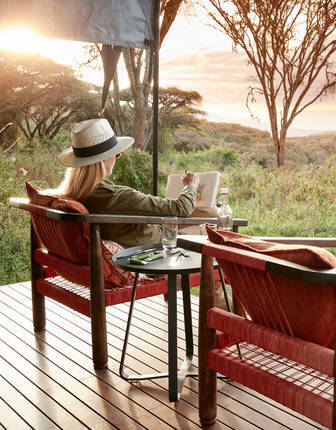 Combining authenticity and luxury, this all-inclusive tented camp harks right back to the golden age of safaris with gourmet buffet dining and complimentary sundowners matched by supreme views and game drives through Ngorongoro Crater. 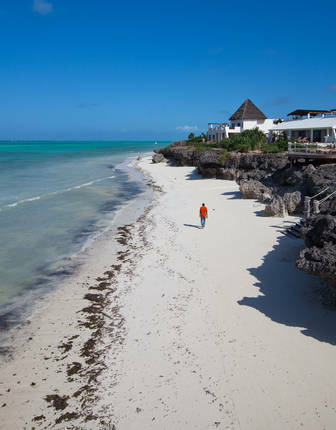 A short boat ride from Zanzibar, Mnemba Island is a permanent fixture on shortlists of the world’s best, most indulgent private islands. 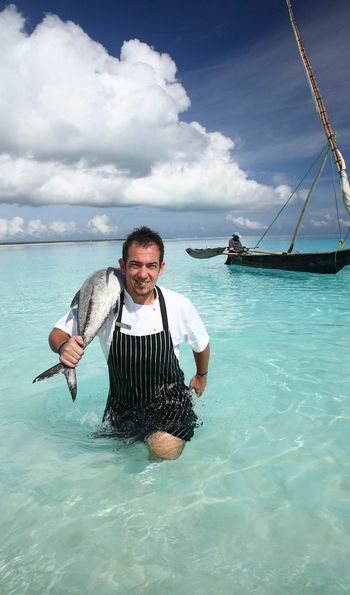 There’s nothing here other than soft sand and clear sea, a few seemingly rustic but luxuriously comfortable cottages, superb service and fabulous food. 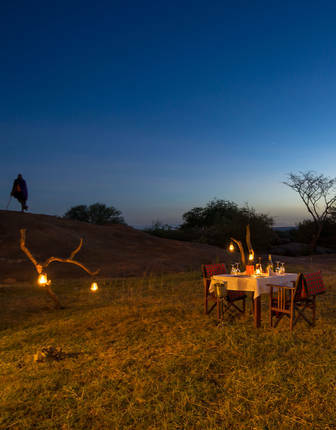 Situated right on the wildebeest migration route, the Sanctuary Kusini offers exclusive access to one of the animal kingdom’s great wonders, complemented by all-inclusive dining, drinks and excursions. 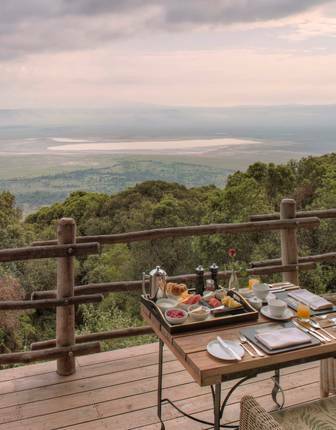 The Ngorongoro Crater Lodge has to be one of the most spectacular safari experiences in Africa, an architectural wonder set right beside the natural wonder of a sunken volcanic crater, stretching from the Serengeti to the Rift Valley. Set snug and sumptuous amid the branches of magnificent mahogany trees, the suites at Lake Manyara Tree Lodge might be the dreamiest in the world, with private decks dappled by sunlight, surrounded by the thrilling soundtrack of the Tanzanian forest. From fine-dining restaurants and private-balcony suites to spa treatments and a stunning coffee-plantation setting, this is the ideal start or conclusion to your Tanazanian adventure. With a stunning lakeside location, substantial chalet-style rooms and sweeping views over a coffee farm, Lake Dulati Lodge seems a world away from anywhere but is a short drive from Kilimanjaro Airport, an ideal first stop before a safari. 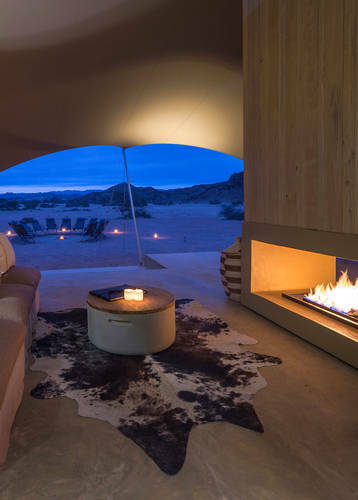 Spot the region’s diverse wildlife on expert-led game drives or even from this luxury lodge’s infinity pool, dining deck and luxury tented suites, ringed by private verandahs – the perfect spot to enjoy a complimentary cocktail. 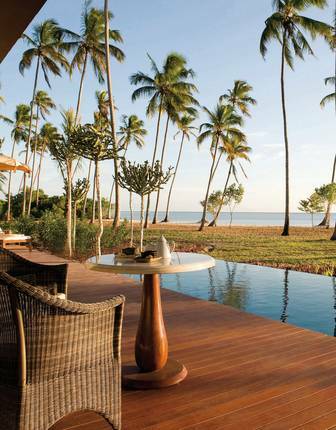 Put simply, this is Zanzibar at its luxurious best. Private villas come with their own pools, terraces and gardens while indulgent amenities range from fine-dining venues and a superb spa to water sports and a mile-long beach. This is a Zanzabari beach getaway at its most stylish, pairing infinity-pool relaxation and over-water dining with stylish accommodation and spa treatments. 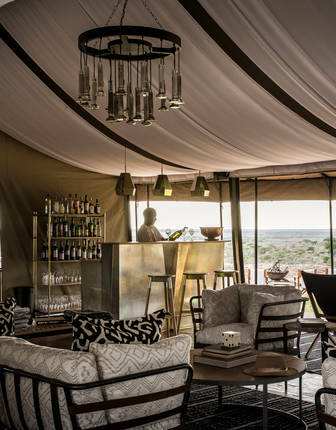 This extraordinary new camp is comprised of a group of luxury mobile tents that move with the wildebeest migration, each with a private deck, plush furnishings and en-suite, enjoyed after spectacular daily game drives. The months between March and May are marked by the long rains while November is the season of the short rains. To experience the majesty of the migration, late-June to October are optimum. 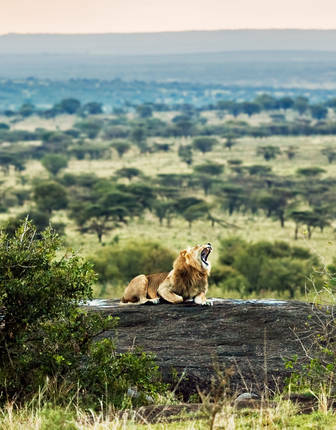 However, the northern Serengeti has exceptional game viewing opportunities all year round. 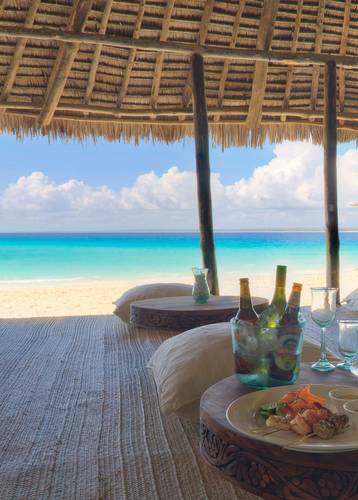 Combine a Tanzanian safari with a stay on Zanzibar or another of the spice islands (the Seychelles are close by too), or cross the border into Kenya. Discover Tanzania’s stunning natural world of iconic landscapes and thriving wildlife on an all-inclusive fly safari before ending with some ultra-luxury indulgence on Zanzibar’s white sands. Tanzania offers some of the world’s best safari experiences, combined on this itinerary with the finest in all-inclusive stays. You’ll take in the Serengeti, Ngorongoro Crater and flamingo-dotted Manyara Lake with touring and flights included throughout. Pair a luxury beach getaway with one of the world’s greatest wildlife encounters, enjoying luxury stays and gourmet dining throughout. 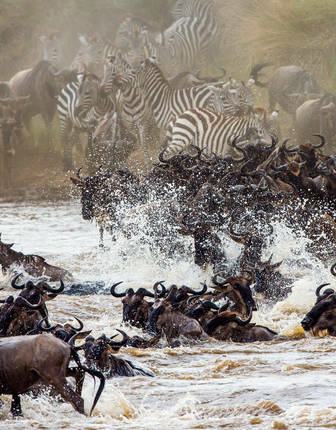 This tailor-made 9-day itinerary spectacularly follows the Great Wildebeest Migration, with a camp that changes location accordingly. You'll spot a vast array of wildlife, including the Big Five, while staying in luxury tented camps featuring all-inclusive meals, drinks and daily game drives.